Just thought I would share my latest project. 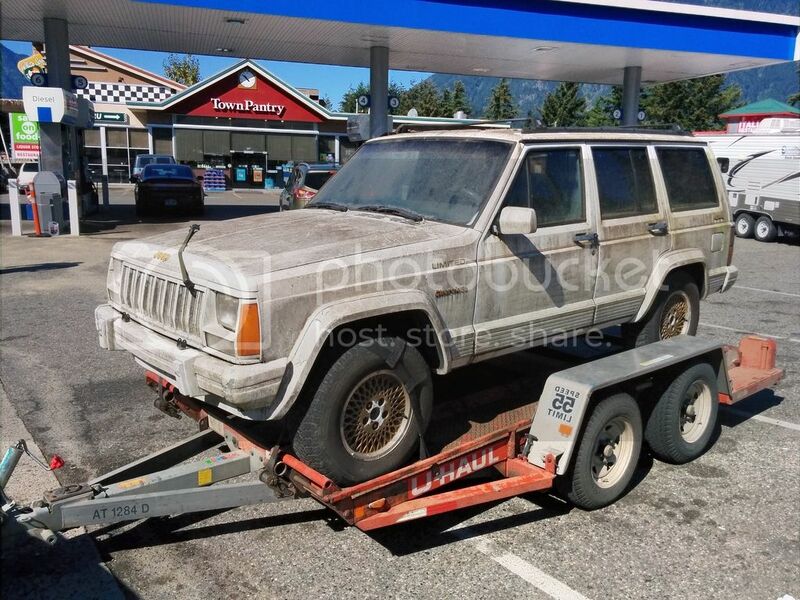 To make it go fast, light weight (2wd Jeep Cherokee), big engine (6.0L LS engine), low gears (4.10 limited slip). With a minimum of "hotrod" parts, this should still be quick. 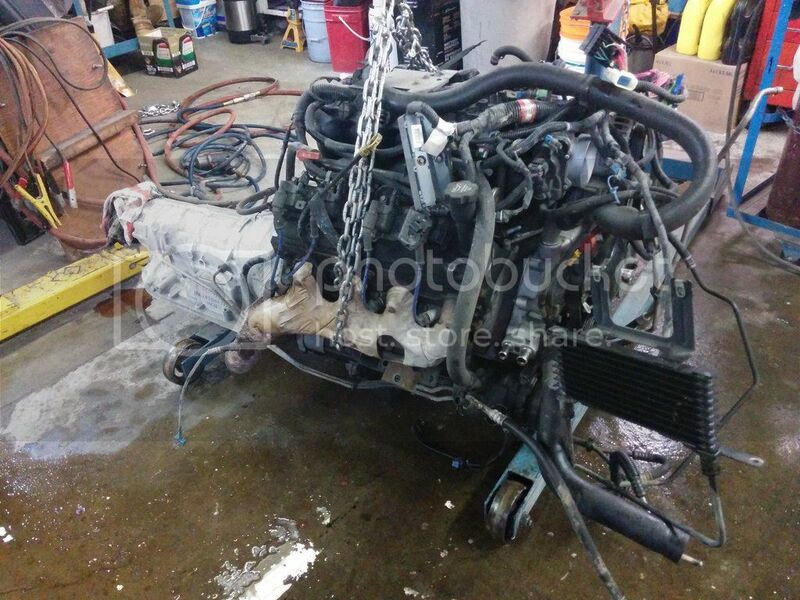 Here she is, waiting for the donor to give up its engine. What trans are you going to use? Gonna be interesting! 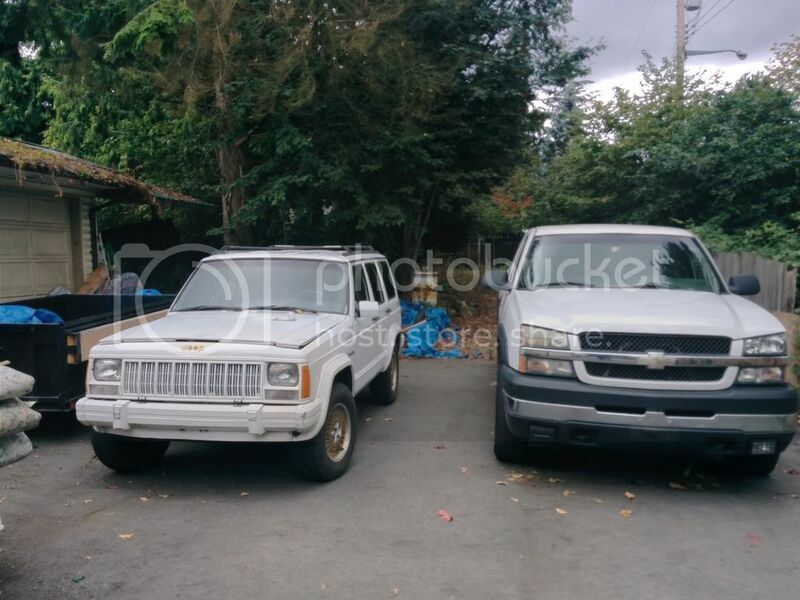 The truck has a 4L80E, should be bullet proof for my project considering the Cherokee should weigh about 3200 lbs. Custom driveshaft then and keeping the stock diff? I have an aluminum drive shaft I'm using, and using an Explorer 8.8 rear diff, 4.10 limited slip. First start up out of the truck. I wanted to make sure my harness alterations were OK before I wrapped up the harness. Make shift engine stand and fuel system, but it runs. 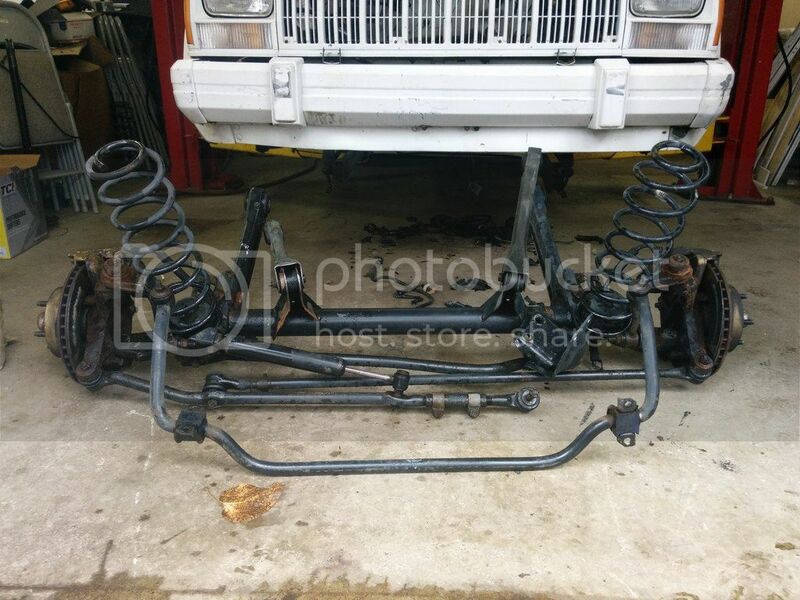 2wd front axle installed, much lighter than the 4wd one. Now to pull the engine and make some adjustments and try again. The 4L80E trans fits with lots of room to spare. Nice! Gonna finish this project quickly?